If you would like to volunteer, please give us a call at the office (508-693-9588), or email info@vineyardconservation.org. "Just refrigerator efficiency saves more energy than all that we're generating from renewables, excluding hydroelectric power . . . I cannot impress upon you how important energy efficiency is. It doesn't mean you eat lukewarm food and your beers are lukewarm. You can still have it; you just make a better thing"
Mary Jane Sorrentino, an experienced presenter from the Climate Reality Project, will make suggestions for what role citizens can play in addressing what the Pentagon calls the greatest long-term threat to our nation. The Project aims "to reveal the complete truth about the climate crisis in a way that ignites the moral courage in each of us." Thursday, Mar 29 (also Apr 5), 10:00 to 11:00 am, Felix Neck, Edgartown. Join Felix Neck for this series introducing young children and their parents to the delights of nature at a hands-on level in an unhurried atmosphere. Each session includes an introduction indoors, story, craft and a hike, stopping to discover nature's treasures along the way. For children ages 3-5 with a parent/friend. Younger siblings in strollers/backpacks welcome. Cost ($6.00m / $9.00nm) is per child, no cost for accompanying adults. Drop-ins welcome, pre-registration preferred. For more info, call (508) 627-4850. Sunday, Apr 1, 1:00 pm, West Tisbury. Join Land Bank staff for a free natural history walk through Wompesket Preserve. For more info, see the walks announcement and the web page for the property. Saturday, Apr 7, 9:00 am to 2:00 pm, Oak Bluffs. Many electronic devices and appliances contain toxic chemicals that can be harmful if not disposed of properly -- not to mention, it's expensive to get rid of them! Bring your burdensome junk to the MV Community Services campus (across the street from the high school) this Saturday. Fees range from $1 - $30 and benefit Community Services. For more info, see website. Puncture the leg of lamb with the tip of a knife just far enough to insert slivers of garlic into the holes. Mix together the dill, salt and rosemary, and rub over the leg of lamb. Place the lamb, fatty side up, on a rack in a shallow roasting pan. Roast uncovered for 2 to 2 1/2 hours in the preheated oven, to an internal temperature of 155 degrees F (68 degrees C) for medium. Tent with aluminum foil and let stand for 15 to 20 minutes before carving. The lamb will continue to cook a little bit, and the juices will set up better for carving. A hard freeze is possible tonight, with forecast lows of 27 - 28 deg F, so take care if anything fragile is already growing outside! Earth Hour 2012 takes place this Saturday night from 8:30 to 9:30. As in previous years, the environmentally conscious will be turning off all non-essential lights and electrical devices for an hour to draw attention to the problem of global climate change and our over-reliance on fossil fuel derived electricity. Global participation in the annual event, originally conceived by the World Wildlife Fund in 2007, has grown tremendously over the past five years. However, here on Martha’s Vineyard, the story is more complicated. 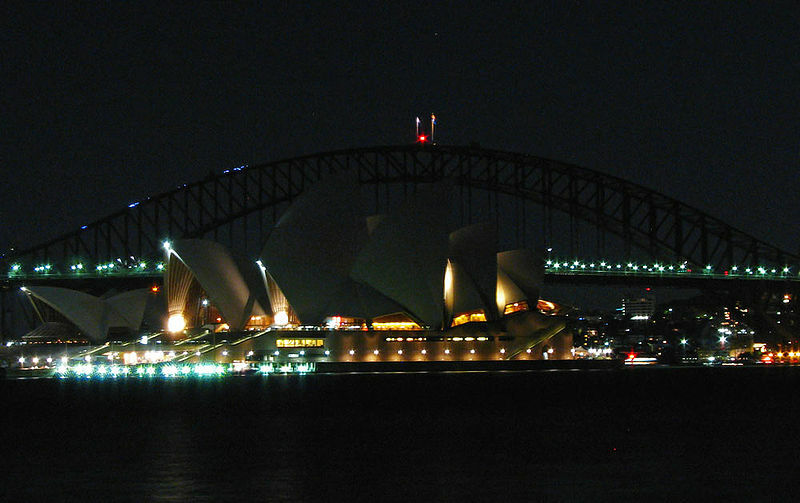 In 2008, we were one of relatively few communities to pioneer the spread of Earth Hour from its origin in Sydney, Australia, and the effect on energy consumption was significant: NStar estimated a reduction of 0.8 megawatts in the Vineyard's electricity usage for the hour, enough to power 750 to 1000 homes. In 2009, the reduction was estimated at 1.5 megawatts. But something happened in 2010; despite plenty of publicity, apparently very few participated, with NStar finding no significant reduction in power usage at all (all Gazette links subscription req’d). There’s no obvious explanation for the decline in enthusiasm, but there are valid reasons to reconsider the concept of Earth Hour, both as a practical method of reducing energy use, and as effective advocacy for environmental protection. Energy experts have pointed out that the one-hour event does not actually reduce carbon emissions because power companies don't reduce the amount of electricity they put into the system; instead, there is simply less of the supply used, with the rest wasted. Further, the nearly synchronous re-lighting at the end of the hour puts a huge strain on the electrical grid. But more important (though less concrete) are the political and psychological considerations. To some extent, Earth Hour surely has achieved its goal as described by the WWF, which – to be fair – is not to directly reduce carbon emissions, but to raise awareness of the problem of climate change. However, viewed as political messaging, it's been a mixed bag: it has also become a powerful cudgel to be wielded by the opponents of environmentalism, touted as evidence that the green movement is fundamentally opposed to progress and prosperity, and that what we truly desire (secretly, down in our scheming hearts) is to return humanity to the Stone Age. Because this typically comes from the same intellectual ground as the other conspiracy theories claiming that environmentalism is insincere, and really about controlling the economy and people’s behavior, this idea may also seem easy to dismiss. But in the case of Earth Hour, I fear they're on to something. To some, the imagery of the planet going dark isn't beautiful, or peaceful; it's frightening, or primitive, or impoverished. And every time a crime is committed, or a medical emergency occurs during the hour, it is sure to be highlighted by the usual suspects. Now, all those caveats aside, we don’t want to ruin everyone's Earth Hour! It is still visually striking, a wonderful display of community action, and a reminder of all that is good about a simpler way of life. But if the criticisms above resonate, or you just don't want to turn out the lights for personal reasons, VCS has an Earth Hour alternative suggestion. Let's call it Efficiency Hour: this Saturday night, spend an hour on a project or two that will have a real impact on reducing carbon emissions for the rest of the day, week, and year. Check the car tires and pump them up if they need it. If they don't, maybe it's time for an oil change or new air filter. Pick up some spray foam insulation and fill any cracks where there's a draft, or replace worn weather stripping. Grab a stake, some garlic, and an extra power strip and go hunting for “power vampires” – there's always one more hiding somewhere in the house. No ideas come to mind? Call Cape Light Compact at (800) 797-6699 for a free home energy assessment; they’ll even pick up a large portion of the cost of improvements. If this doesn't sound like a lot of fun for a Saturday night, you could always reschedule Efficiency Hour for 8:30 A.M. – we won't tell anyone. Or, for a different type of Earth Hour, go vegetarian or locally grown for dinner; either (or both!) will reduce the carbon footprint of our most necessary activity. We just ask that if you choose to embrace both Earth Hour and Efficiency Hour, definitely go with the morning alternative; home improvement by candlelight seems unwise. For more than 10 years, VCS has been working to encourage community conversation about large-scale, high-impact residential development. Lately, these efforts have been increasingly successful, with Chilmark the most recent town to seriously consider the issue of regulating construction of giant houses. As described in the Gazette, the town Planning Board is considering the requirement of a special permit, a step that would not prohibit the building of “mega-mansions” but would allow for addition time to review the impacts of the species proposal. See the previous link for more information on the current proceedings in Chilmark; click here for a recent letter from VCS Executive Director Brendan O’Neill laying out our position in more detail. Looks like a campaign button, right? Think bigger. Despite their promises, there’s nothing any American politician can do to lower the price of gas to $2.50 a gallon. That’s just not how international markets featuring limited supply and growing demand work. We could modestly lower the cost (or, perhaps, slow its increase) by drilling everything and pipelining everywhere, but there are smarter alternatives. One such method, being promoted by the Union of Concerned Scientists, is a National Oil Savings Plan. If you’re concerned about climate change, toxic pollution, or just the cost of filling up, please take advantage of UCS’s resources to more effectively contact local representatives or write a letter to the local papers.